← Your New Go-To Arabic Bookmarks! Poster: Arabic Numbers Made Easy! 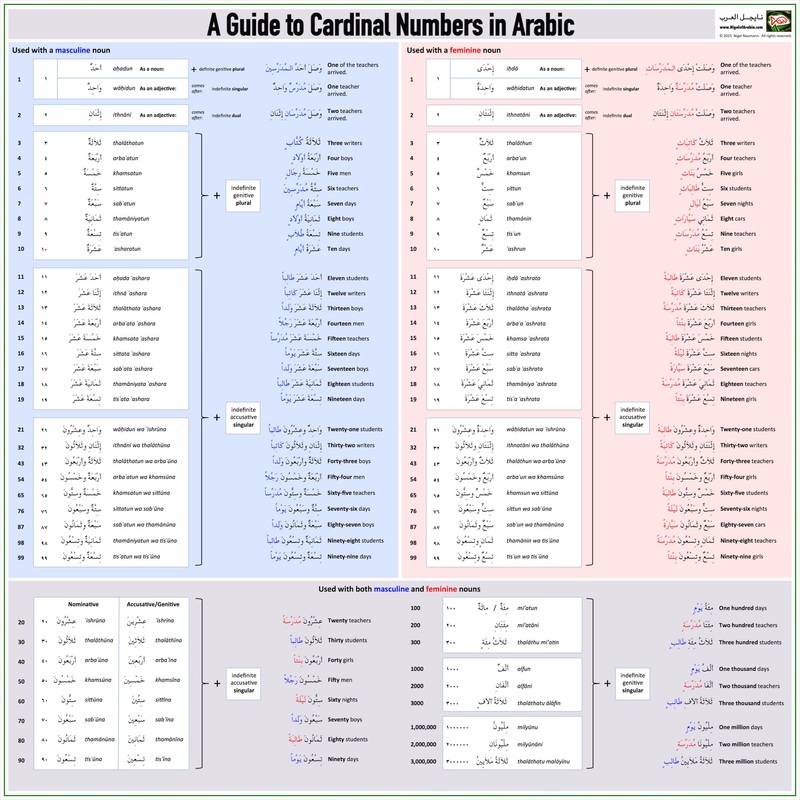 You won’t find anything clearer or more easy to use than this guide to numbers in Arabic, which successfully breaks down one of the most complex parts of Arabic grammar, making it as easy as 1, 2, 3…! I created this poster with the learner in mind and have designed it to be as user-friendly as possible. Suited to all levels of Arabic, it covers all cardinal numbers, along with Arabic numerals, example nouns and essentials of grammar, such as which case the noun should be in. To help with pronunciation, the Arabic has been fully vowelled and English transliteration has been provided for each number. This entry was posted in Arabic, Original Arabic Designs and tagged Arabic, Arabic numbers, Arabic numerals, cardinal numbers, for sale, grammar, poster, Zazzle. Bookmark the permalink. jAZAKALLAHU KHAIRAN for the awesome infomation about arabic grammer.